The Partners in Parks program makes it possible for individuals, families, schools or community groups to help enhance and preserve their local park or green space. Do you enjoy gardening? Is there a natural area you would like to steward? Edmonton’s parks are full of plant life that needs tending. Become a Partner in Parks and share your passion for plants with all Edmontonians! By maintaining a flower bed, a cul-de-sac island, or a bit of parkland you can help to keep Edmonton a beautiful, green and clean place to live. You are welcome to apply to the program with a specific site in mind. All sites must be on publicly accessible parkland. All site activities are subject to approval by the Community Greening Coordinator. Partners will be provided with basic training and included in our annual volunteer recognition program. Official registrations for the 2018 gardening season are now closed. If you wish to be added to our waitlist and receive a notification when 2019 registration opens, please fill in the Request to Volunteer Form. 2018 Registration: All volunteers are required to register annually. Only registered volunteers are considered participants in the 2018 Partners in Parks program. Volunteer Manual: The 2018 Volunteer Manual provides program information, volunteer policies and safety guidelines for current volunteers. Volunteer Hours: As a City of Edmonton volunteer, it is mandatory that you log all volunteer hours via the 2018 Hours Log Form. Each volunteer must log hours separately in order to qualify for the Partners in Parks Fall Recognition Program. Request or Report: Volunteers can fill in the Request or Report Form to receive support from program staff. Volunteer Recognition and Feedback: Registered volunteers who have recorded a minimum 10 hours of service are asked to complete the annual Partners in Parks Volunteer Survey. Your feedback will help staff improve many aspects of the program and reserve your recognition item selection for 2018. Edmonton Horticultural Society (EHS) is a longstanding sponsor of the Partners in Parks program. For many years, EHS has donated partial memberships to program volunteers to assist with their beautification efforts. In 2018, EHS is sponsoring a portion of an annual membership for each Partner. For more information about memberships, special events and workshops hosted by EHS, visit the EHS website. The Telus World of Science has been offering Partners complimentary admission passes in recognition of their seasonal commitment to maintenance activities in parks. If your organization is interested in supporting the Partners in Parks program through donation or sponsorship, please email partnersinparks@edmonton.ca for more information. Depending on your agreement, you will be recognized for your contribution on our program website, in publications, on posters and/or signage and at special events. Donate funds to purchase or directly supply gardening materials, equipment and appreciation items/events for volunteers. This could include items such as new gardening gloves and hand tools, plant material or seeds, books, volunteer t-shirts, water bottles, sunglasses, hats or other appreciation items for volunteers. 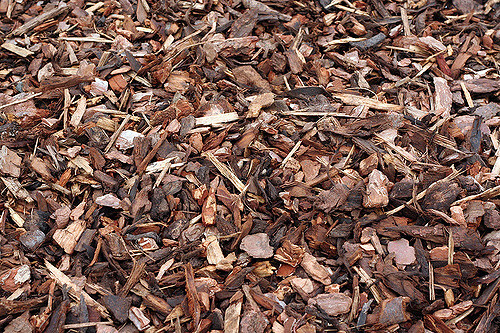 The City of Edmonton is happy to provide woodchips free to citizens for their yards.